This radically original book argues for the power of ordinary language philosophy—a tradition inaugurated by Ludwig Wittgenstein and J. L. Austin, and extended by Stanley Cavell—to transform literary studies. In engaging and lucid prose, Toril Moi demonstrates this philosophy’s unique ability to lay bare the connections between words and the world, dispel the notion of literature as a monolithic concept, and teach readers how to learn from a literary text. Moi first introduces Wittgenstein’s vision of language and theory, which refuses to reduce language to a matter of naming or representation, considers theory’s desire for generality doomed to failure, and brings out the philosophical power of the particular case. Contrasting ordinary language philosophy with dominant strands of Saussurean and post-Saussurean thought, she highlights the former’s originality, critical power, and potential for creative use. Finally, she challenges the belief that good critics always read below the surface, proposing instead an innovative view of texts as expression and action, and of reading as an act of acknowledgment. Intervening in cutting-edge debates while bringing Wittgenstein, Austin, and Cavell to new readers, Revolution of the Ordinary will appeal beyond literary studies to anyone looking for a philosophically serious account of why words matter. "Drawing on the ordinary language philosophy of Wittgenstein, Cavell, and (to a lesser degree) Austin, Moi offers a compelling argument that the Saussurean project is backward: one cannot develop a theory of language because language is indeterminate; instead, use determines meaning. Writing in perspicuous prose, the author guides the reader through the basics of ordinary language philosophy and demonstrates how a Wittgensteinian attention to specific examples of ordinary use offers a radical and liberating method for approaching texts. Moi advocates moving beyond the cynicism of the 'hermeneutics of suspicion' (Ricoeur's coinage) as she traces a fresh approach to reading the world. A bold reassessment of literary studies after theory, and a project one can hope will revolutionize inquiry into rhetoric...Essential." 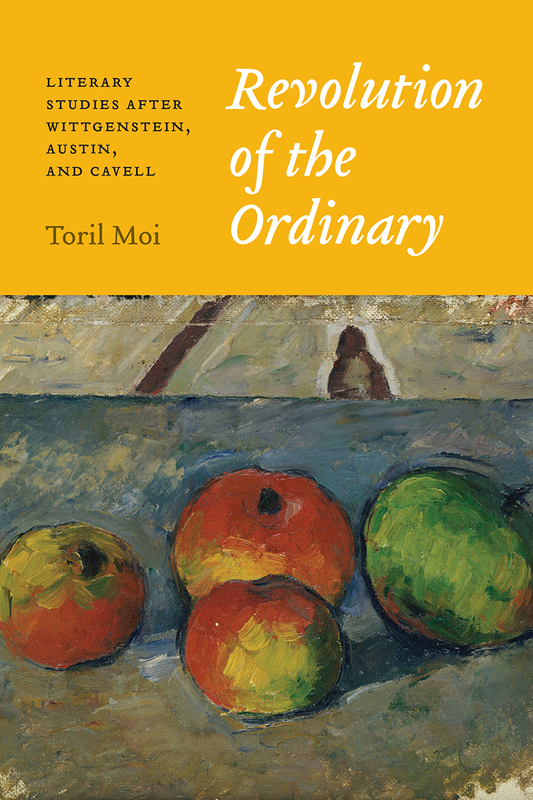 "Toril Moi’s Revolution of the Ordinary is probably the most important work of literary crit­icism published this century. Its audacious title isn’t at all misplaced: Moi’s intervention is genuinely revolutionary, with wide-ranging im­plications for literary critics of all kinds. Her goal is nothing less than a transformation of the field as it currently stands. . .It's hard to overstate just how provocative and valuable Revolution of the Ordinary really is. . .and will surely inspire readers to recalibrate their thinking on a wide range of questions."